About 4 miles away from me, there is a bike hire shop that has tandems. 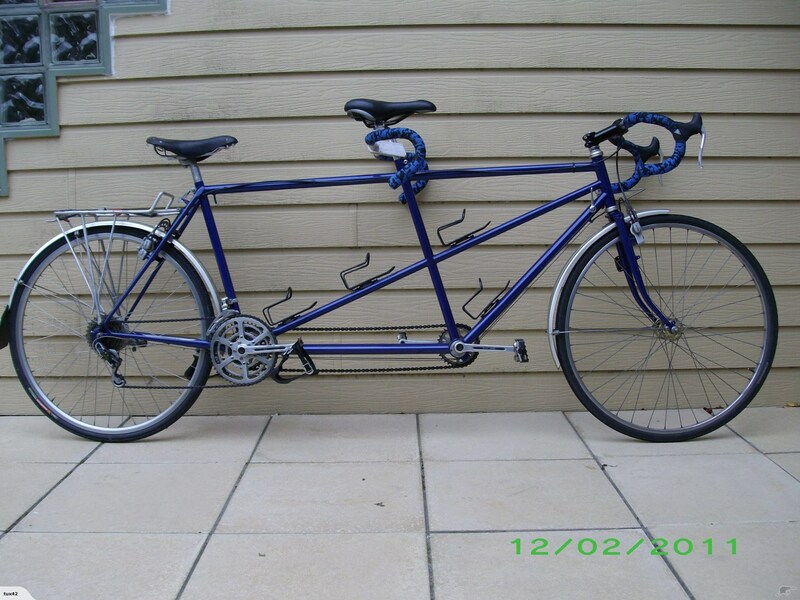 I'm trying to work out the logistics of getting the tandem to my house to pick up the other rider. I'm an experienced cyclist, but have never ridden a tandem before. It's not convenient for both of us to go to the shop. Is riding a tandem particularly difficult for one person? I have a 1990 steel racing tandem, and sadly it gets more miles solo than with a stoker. Cars may not see the rear of your bike, and may not anticipate the extra space required when pulling up or allowing room to turn. Steering is a bit odd - it may be unique to mine, but if the solocaptain doesn't commit to a corner with enough lean, the bike tries to stand up straight and go straight. Braking - its still possible to raise the back wheel clear off the ground when doing an aggressive brake with just a captain. And the stoker's bars may get in the way of your backside if you lean backwards. Drag brake is less effective with no stoker. 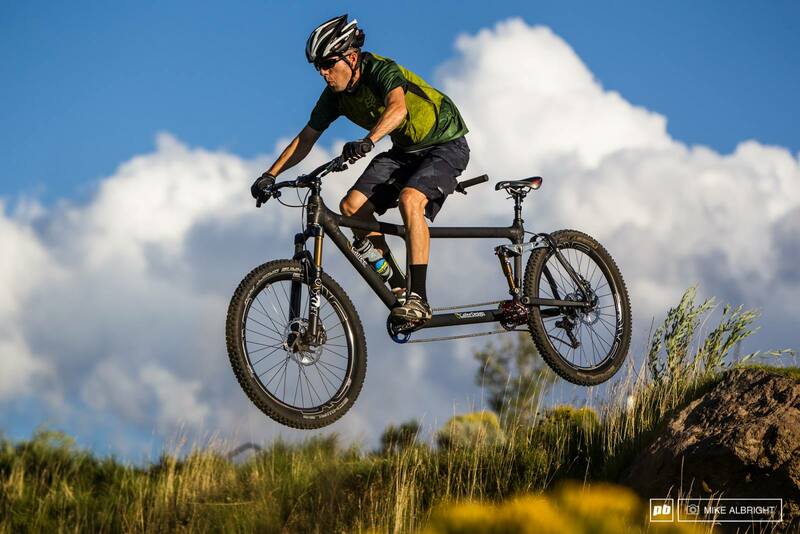 So big descents you have to ride more like a solo bike. You may get heckled with "Your passenger fell off!" so have a witty retort like "Bugger - so that's why she stopped nagging!" or "Damn I thought we were going slower than normal!" Speed is generally not an issue - I've topped 40 km/h solo on my tandem, and the previous owner exceeded 70 km/h on it on a race, with two riders. Doesn't seem like too big a deal. It should be similar to having someone on the back who's not pedaling, only lighter and faster. I have a tandem and I have ridden it solo. It's not hard from a handling point of view, and at least with mine it's easier than riding tandem – it's just riding a bike with an exceptionally long rear end. Sure, more friction and a lot more weight, but overall something any cyclist with a tiny amount of experience can handle. 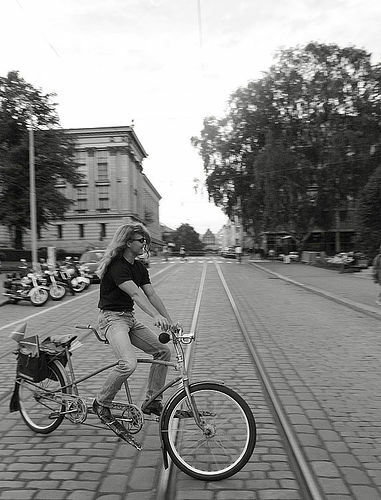 Riding a tandem solo isn't a big deal. It's just a big long heavy bike; as others have said easier than riding a tandem with a stoker if they're not putting much power in. Apart from the "funny" comments you get, the only actual issue I've noticed is that you don't get so much grip on the back wheel without the weight over it. I tried standing on the pedals going up a hill and found the wheel would spin. Tandems have a pilot, and a stoker, the rear rider being the stoker, and all steering is done by the pilot or front riding. Therefor the stoker is only there to help out with pedaling and enjoy the ride. It's usually easier than with a partner. I've been on one home-welded tandem where the front and back pedal cogs had different number of teeth and thus were not synchronized. That posed a problem for leaning into curves since the reflex of putting the inner pedal up did not match with the other pedal pair. It's astonishing how much of a nuisance this can end up being (and when going solo, you had no warning). I don't think that this happens with a stock tandem however. Not the answer you're looking for? Browse other questions tagged tandems or ask your own question. Where Can I Find a Single Right Front Crank Arm for a Tandem? Can anyone identify this Tandem bike I restored from a junk yard? What should I check with set up of a tandem? 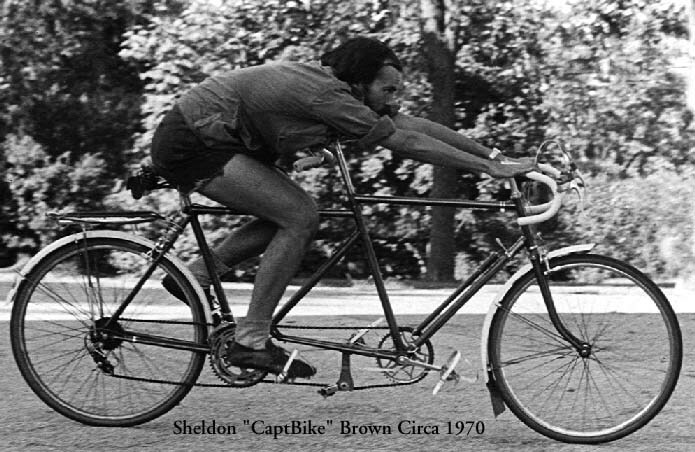 Who's the manufacturer and what year was this tandem bike manufactured?